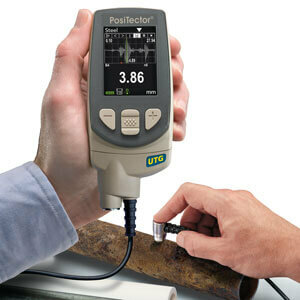 The PosiTector ultrasonic thickness gauge measures the wall thickness of materials such as steel, plastic and more using ultrasonic technology. 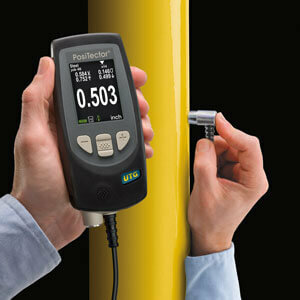 Choose from Corrosion or Multiple-Echo probes. 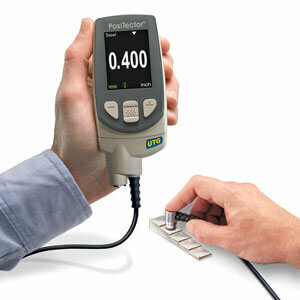 Multiple-Echo probes feature thru-paint capability. Advanced models included raw A-scan with adjustable gain and B-scan. 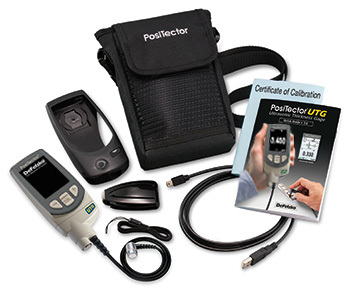 All gauges come complete with body and probe, couplant, protective rubber holster with belt clip, wrist strap, 3 AAA alkaline batteries, instructions, nylon carrying case with shoulder strap, protective lens shield, Long Form Certificate of Calibration traceable to NIST, USB cable, PosiSoft Software, two (2) year warranty. 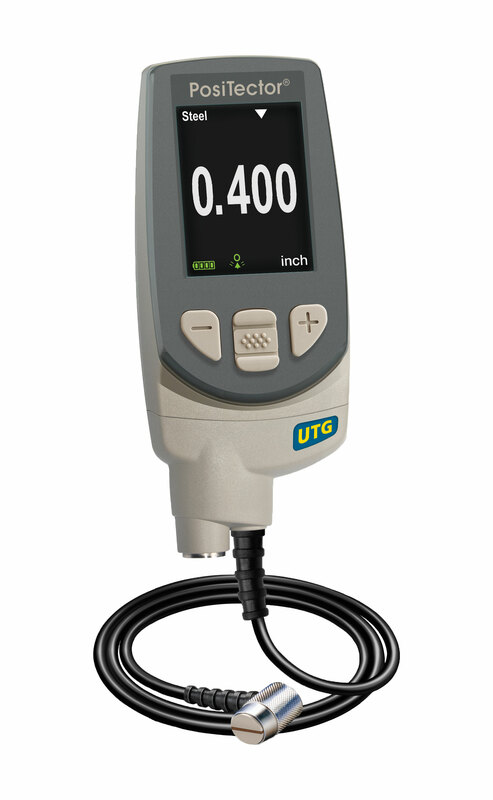 Includes the features of the standard gauge, with storage of 100,000 readings in up to 1,000 batches. Includes WiFi, Bluetooth, and more.